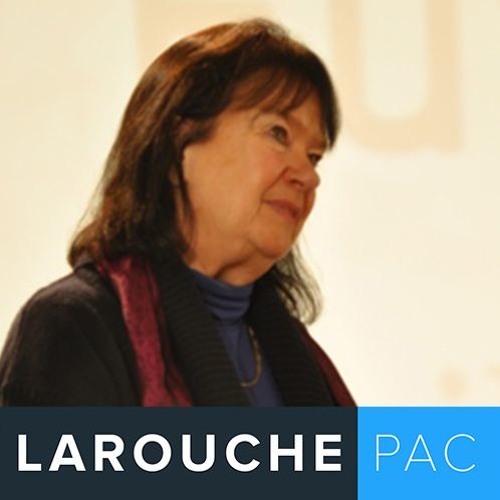 Join Helga Zepp-LaRouche in her weekly international webcast. Since the conclusion of the historic Schiller Institute Conference in Bad Soden, Germany on November 26, the pace of developments for the expansion of the Chinese Belt-and-Road Initiative (BRI) has accelerated dramatically. There have been conferences, forums, and announcements of new agreements on a daily basis, including in Asia, Africa, Eastern Europe and South America, as the Spirit of the Silk Road is spreading worldwide. One of the conferences, in Zhuhai, China, on the Maritime Silk Road, featured a major presentation by the Schiller Institute's Helga Zepp LaRouche. As this positive motion advances, it is becoming increasingly intolerable that the witch hunt run against President Trump, by the London-directed imperial neocon/neolib forces, to prevent Trump from bringing the U.S. into full collaboration with the BRI, is allowed to continue. There is new evidence emerging which demonstrates that, as we have said from the beginning, these attacks have nothing to do with "Russian meddling," but are an effort by those "Deep State" manipulators to hold humanity hostage to their deadly wars, bailouts and murderous austerity measures. The advance of the BRI, as well as the new evidence exposing the Mueller-run witch hunt as a desperate "Made in London" fraud, makes it more possible than ever that citizens worldwide could act the bring their governments into collaboration with the New Paradigm, if they knew the truth about these crucial strategic developments. That is why Helga LaRouche initiated these weekly updates, so citizens could act on a fully informed basis of the potential for a totally unlimited future for humanity. Download As Pace Quickens for World Land-Bridge, Mueller Must Go! Users who like As Pace Quickens for World Land-Bridge, Mueller Must Go! Users who reposted As Pace Quickens for World Land-Bridge, Mueller Must Go! Playlists containing As Pace Quickens for World Land-Bridge, Mueller Must Go! More tracks like As Pace Quickens for World Land-Bridge, Mueller Must Go!